October 18, 2018, 5 p.m. Course: €8 per month, except Fridays: free. The SOS Children’s Village Berlin offers an extensive program of creative workshops for all children and youth living in the district of Moabit. The art workshop “Bunte Spinne” (Colorful Spider) helps children between the age of 5 and 15 discover their creative talents. This includes children from a migration background and from low-income families who generally do not have access to the fine arts. On October 18, 2018, at 5 p.m., the children and youth will present the works they created in 2018 to the public. For many years, the art workshop “Bunte Spinne” has been a reliable offering for children and youth to make creative use of their leisure time. In addition to the regular workshops, a free course provides children of refugees with a creative space and an opportunity to tell their stories and process their experiences as refugees. 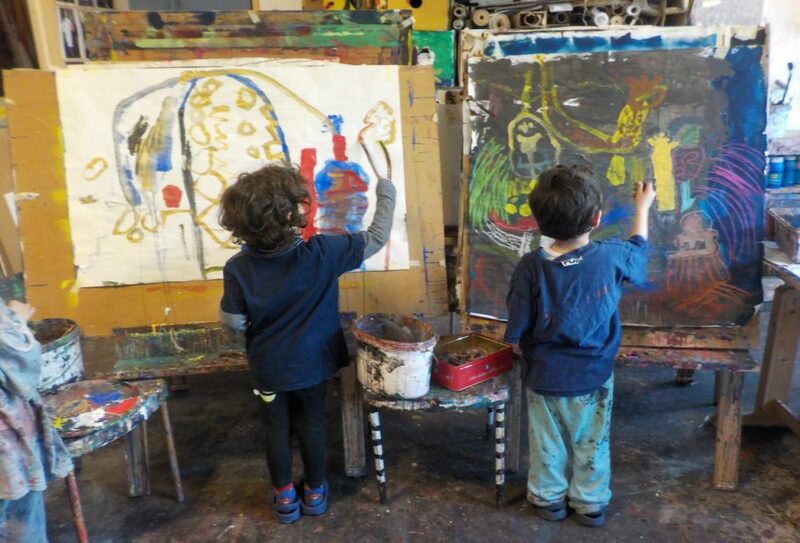 In addition, the art workshop offers a course entitled “Certificate in Cultural Competence for Children 12 Years and Older.” Here, young people can work on a more broadly defined creative topic (e.g., art and fashion) and complete the course with an “official” education passport that they can present, for example, when applying for training or job positions. The art workshop “Bunte Spinne” is directed by the painter and sculptor Sabine Teubner-Mbaye, a reliable partner not only in the artistic field. It is not unusual for her to start off the course with a drumming session, so that the children can “let off steam” before entering into a contemplative creative stage. 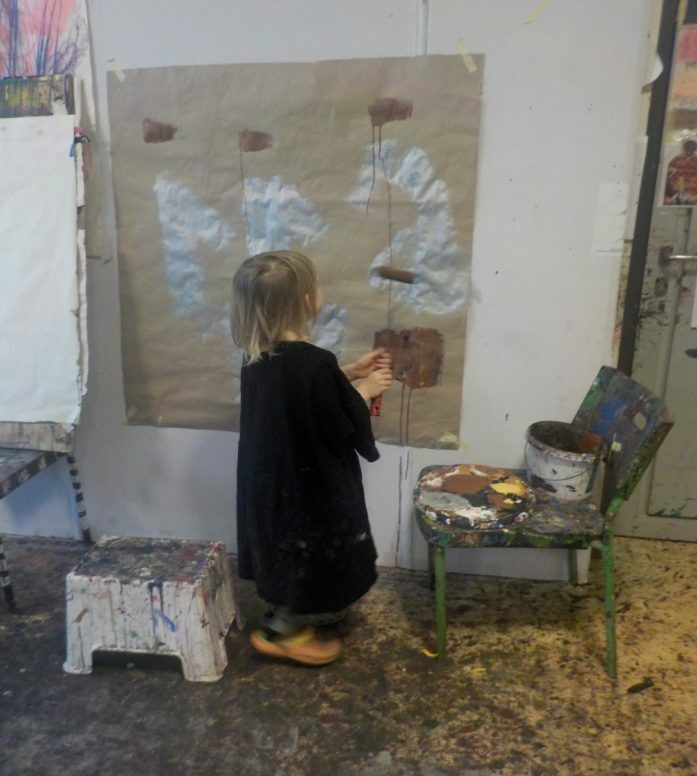 The unique feature of the art workshop is that the children do not have to limit themselves to the A4 or A3 format but can also work on the large canvas to express their ideas. Or they can work with huge stone blocks and have a try at sculpture. There is no limit to creativity!